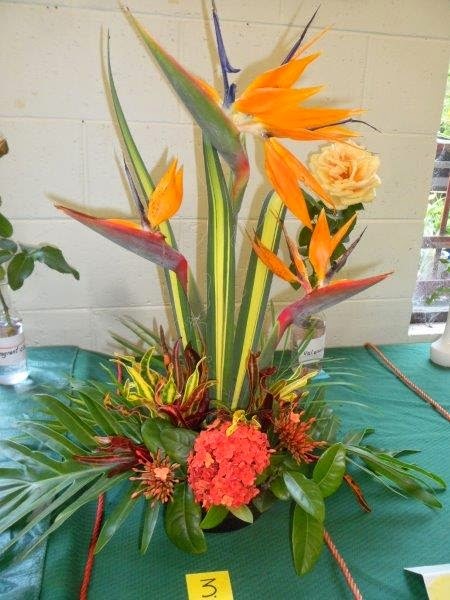 This gorgeous creation was done by Marion B. what a stunning arrangement! Marion says she has decided to do all the flowers for their chapel and has been looking up designs on the web and also getting advice from CHGC supporter Freelance Flower's Di Patterson. We can't wait to see what you will bring to the 2015 competition table Marion. The rose just happened to be on the table next to this arrangement.